The Climate CIRCulator is a monthly newsletter covering climate science and the Northwest written by scientists and communicators. 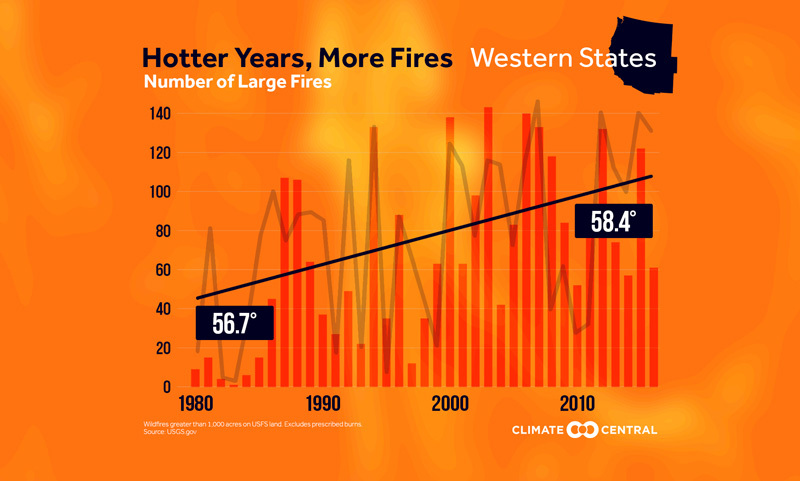 With fire season starting to ramp up, we are again reminded of a clear trend that has emerged in the western U.S. in recent decades. We are experiencing larger and more frequent wildfires. The metric most frequently used to quantify this trend is area burned, or how large in terms of acres or hectares a given fire’s scorching fingertips managed to reach before firefighters or rain put them out. But area burned raises many questions for researchers. Are larger (in terms of area) fires necessarily more severe? And what is the relationship between climate, area burned and fire severity? 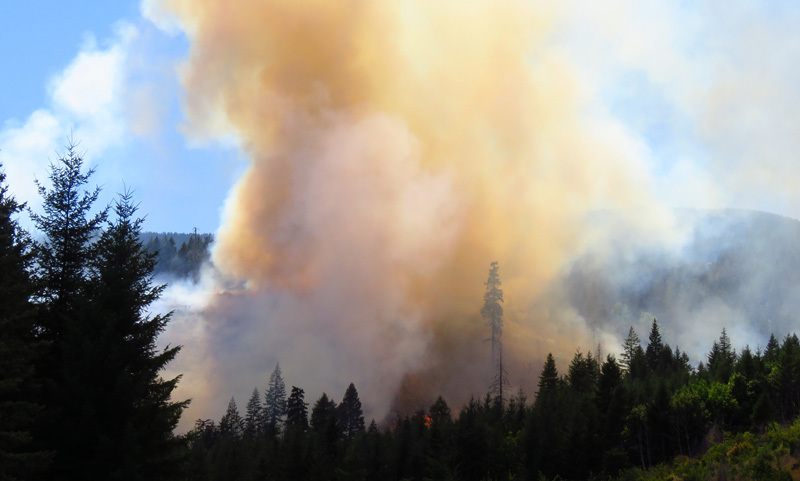 Dry Creek Fire in Klickitat County Washington in July, 2017. These are some the questions posed and partially answered in a study published in the International Journal of Wildland Fire. In the paper, CIRC’s John Abatzoglou and colleagues examined the relationships between climate, area burned and burn severity in western U.S. forests over the past three decades. The paper builds on earlier research published late last year in the Proceedings of the National Academy of Sciences by Abatzoglou and A. Park Williams, also a co-author on the recent paper. That earlier paper concluded that human-caused climate warming accounts for a doubling of area burned in western U.S. forests in recent decades. While this is impressive, it doesn’t tell the whole story. This is essentially what Abatzoglou and colleagues’ explain in detail in their International Journal of Wildland Fire paper. The authors report that over the years of 1984-2014, fires that were larger in terms of area burned in the western U.S. tended to be more severe. OK, that seems like a no-brainer; more area burned equals more severe fires. But hold on. It’s actually more complicated than that. This trend was actually pretty weak. In fact, while the pattern of more area burned equals more severe fires was a general trend, it wasn’t true for every fire — some 3,415 fires for the 31-year period — that the authors reviewed. Some smaller fires were also found to be very destructive, according to the study. Consider a fire that moves through a region damaging the local vegetation but not killing it completely. This type of fire could clear the understory of the forest floor but leave the larger trees more or less intact. This type of low severity fire could cover a lot of area without being too severe. Now consider the opposite: a fire that burns especially hot. This type of high severity fire could do significant damage to an ecosystem — especially if that ecosystem is not adapted to fire — killing everything in its path but only covering a small area. So what other measures can help explain a fire’s severity? Let’s consider climate. As temperatures warm due to human-caused climate change, the fire season gets longer and hotter, resulting in dry, flammable vegetation. The drier — or more arid — the vegetation is, the larger the resulting area that burns and the more severe the fires can be. And this is also what Abatzoglou and colleagues found. Recent local climate events — for instance, a large drought drying out a national forest — show up in the data as clearly increasing the local vegetation’s potential to go up in flames. The more arid the vegetation — or fuels in the scientific literature — the more area burned and the more severe the fires tend to be. 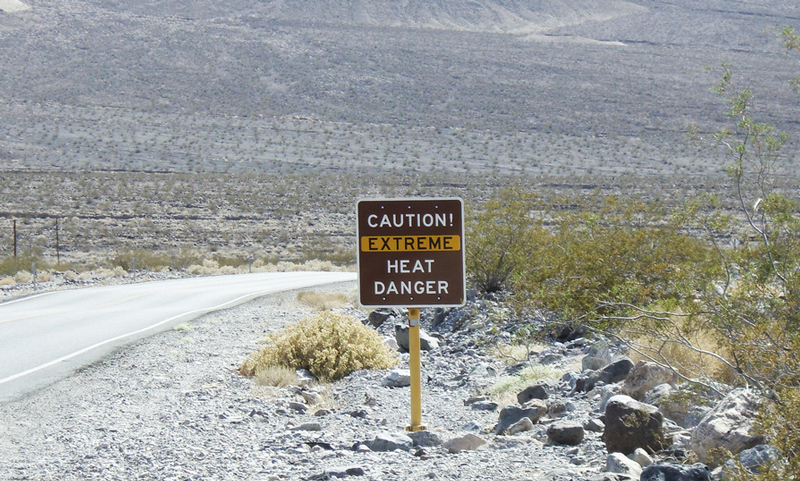 But fuel aridity alone also doesn’t fully explain burn severity, according to the authors. What all these results get at is how complicated and forest-specific burn severity can be. That said, the overall trend is clear: with fuel aridity increasing in the western U.S. due in part to human-caused climate change, the authors project that both burned area and burn severity will continue to increase under climate change. However, the complexities Abatzoglou and colleagues note, also point the way to adaptation solutions. 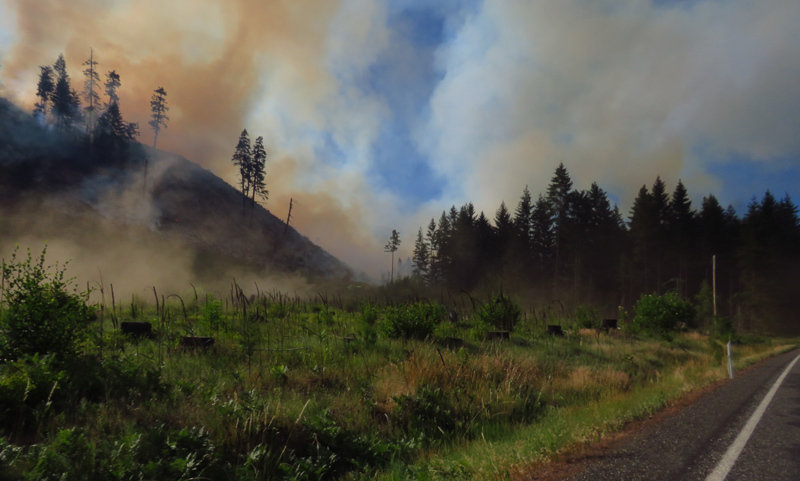 There are many ways to manage forests to prevent the buildup of fuel loads, for instance by using prescribed fires during wet periods to reduce overstocked fuel loads. 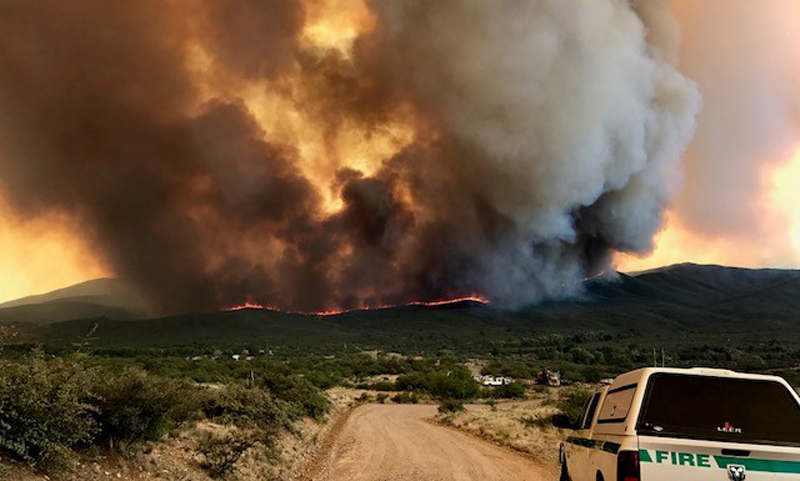 In other words, there is a large role that wildland management can play in limiting the severity of wildfires in western U.S. forests even as the climate warms and conditions become right for larger and potentially more severe fires. This originally appeared on The Climate CIRCulator.